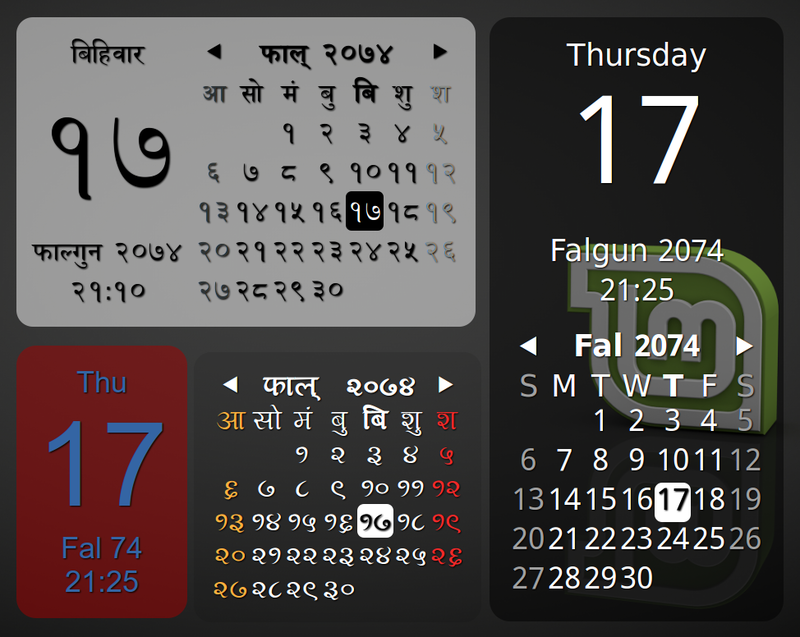 Nepali Patro Desklet provides a highly configurable desklet for the Nepali Patro/Calendar (Bikram Sambat), which displays current date and browsable months. It has a number of possible customisations. Desklet language can be set to either Nepali (default) or English. Hovering over a date in the month panel shows the Gregorian date as tooltip. Calendar can be displayed as per Nepali TimeZone or the system TimeZone.